One Single Planet addresses the major sustainability issues that threaten our planet and offers potential solutions to preserve the livability of our earth for future generations, Marianne Thieme speaks with leading scientists, policy makers and inspiring minds about the metaphor used by astronaut Wubbo Ockels, who compared the earth with a space ship, carrying 7 billion souls, that has steered off course. 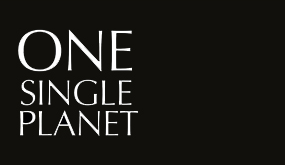 Read more on thewebsite of One Single Planet. 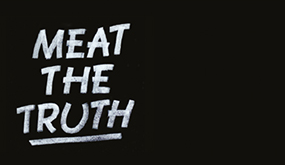 Meat the Truth is a high-profile documentary, presented by Marianne Thieme (leader of Party for the Animals). It is an addendum to earlier films addressing climate change. Although such films convincingly succeeded in drawing public attention to global warming, they repeatedly ignored one of the most important causes of climate change: intensive livestock production. Meat the Truth demonstrates that livestock farming generates more greenhouse gas emissions worldwide than all cars, lorries, trains, boats and planes added together. Read more on the website of Meat the Truth. Under the guidance of Dutch MP Marianne Thieme, two young marine biologists Marianne van Mierlo and Barbara van Genne, are searching worldwide for scientific information about the condition of our biggest ecosystems, which cover more than two thirds of our planet. Underwater photographer Dos Winkel shows them the beauty of marine life and the enormous threats to which it is exposed. For the documentary the producers filmed in Newfoundland, on Bonaire, on the North Sea, the Azores and at various locations in the Netherlands. Authorities offer the solution of sustainable fisheries projects while leading scientists say that every fish that is taken now, is one too many. 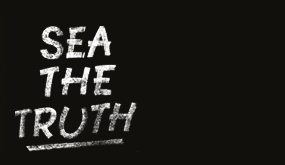 This documentary shows that, unfortunately, there is no such thing as “sustainable fishing”.Read more on the website of Sea the Truth. In commission by the Nicolaas G. Pierson Foundation, filmmaker Joost de Haas has made a documentary on the first ten years of the Party for the Animals. Next to in-depth interviews with the party founders, the film provides an insight into the public reception – in the past and present – of this pioneering political movement, within science, politics and media. During the 10th anniversary gathering of the Party for the Animals on October the 28th 2012 The Pacer in the Marathon celebrated its national premiere. The documentary received wide international attention since and is currently available in 6 languages; English, Dutch, French, Turkish, Russian and Portuguese. Read more on the website of the Pacer in the Marathon.